125 - 165mm and has a weight of between 70 - 100gms. 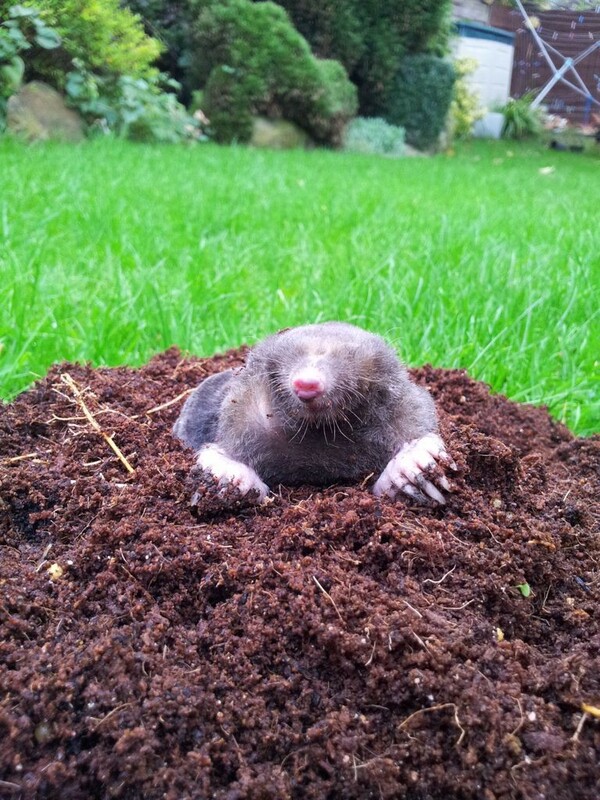 The mole will eat its own weight in every 24 hours, its diet consisting mainly of earthworms during the winter months. For the remainder of the year it will eat a mixture of creatures including slugs, beetles. Moles live almost entirely underground in a system of tunnels commonly called mole runs. The mole hills are a result of excavation soil from new tunnels or soil from existing tunnels that have collapsed. Mole hills are created as the moles extend and repair their tunnels which act as traps to catch their main food source, earth worms. Three or four young are born in the spring. They disappear in mid-summer to establish their own territories. Domestically and horticultural, moles can cause damage to young plants by disturbing and exposing the root system causing them to dry out and die. Mole hills also cause an invasion of weeds into areas where soil has been exposed, and their hills are often regarded as unsightly. 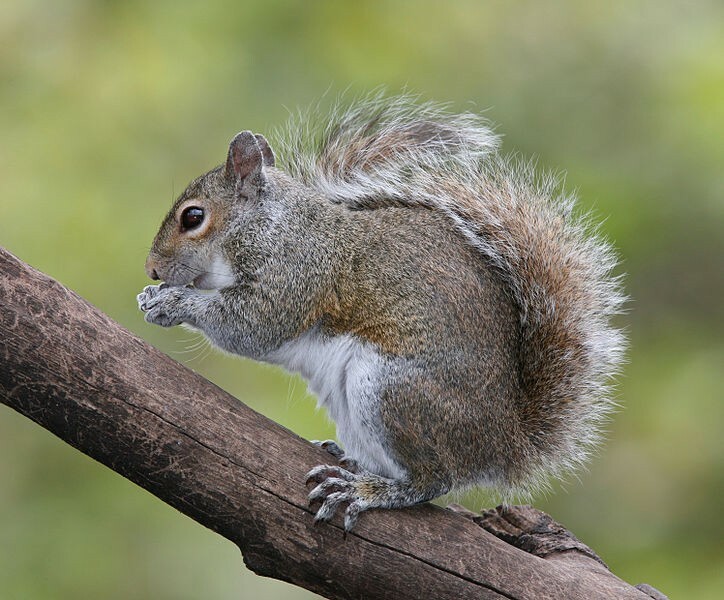 The Grey Squirrel was introduced from the USA at the end of the 19th century. They are now a nuisance to householders, foresters, golf courses and factories. They will strip back the bark of trees in order and killing saplings. The Grey Squirrel makes nests called dreys, in loft spaces of private houses. They will often gnaw on roof joists, strip areas of insulation and gnawing on electrical wiring and pipes, in extreme circumstances will cause electrical fires. 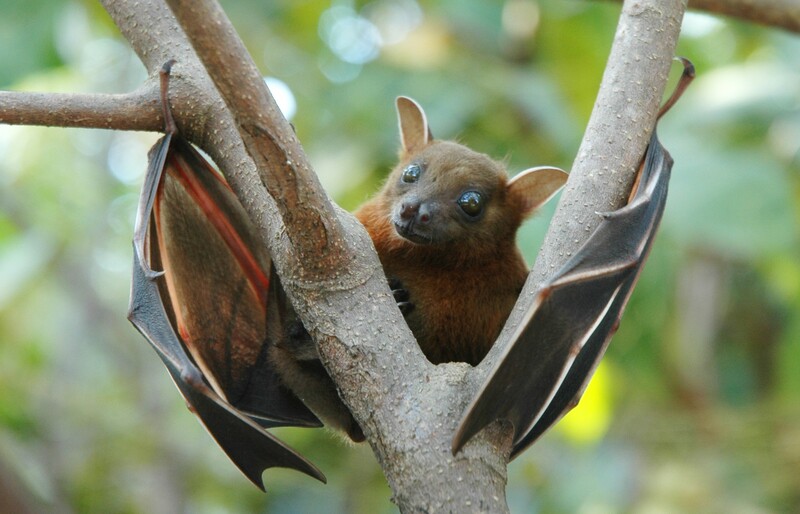 Bats and their roosts are legally protected, whether bats are occupying the roost or not. Due to the decline in bat population in the last century both domestic and international legislation applies to protect all bats and their roosts in the UK. This means you should always seek advice. Encourage bats into your area where there are a few roosting sites, such as holes in trees and building by making or purchasing wooden bat boxes. See www.bats.org.uk for further details. We don’t use gas or bait, traditional trapping only! © Copyright 2019 Pest Guard North West. All Rights Reserved.